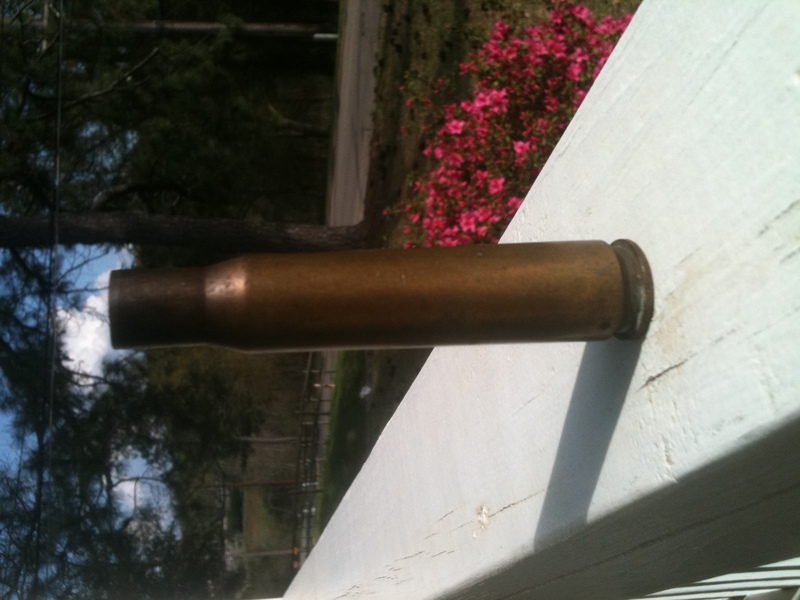 The shell casing I was given at a garage in rural SW Virginia. Last Wednesday got off to an easy, breezy start. Then, as life is wont to do, the day took a more challenging turn. Here’s the cool thing: the worst, highly stressful, and most expensive part of my day grew into a sweet, surprising and profound life episode. It was an unlikely lesson in happiness. The weather was fabulous. I was feeling fine, cruising along life’s metaphorical highway, and the very real real I-81 — an overcrowded interstate with the benefit of spectacular mountain scenery on both sides of the road. Savoring is a highly effective happiness strategy, and I was savoring the view big time. While I drove, I listened to The How of Happiness: A Scientific Approach To Getting the Life You Want by Sonja Lyubomirsky. Though I was familiar with many of the book’s concepts, much of it was new and exciting. Learning makes us happy, and I was in the learning flow. Quite happily. I was also happily driving toward my daughter’s house, to help her in the weeks before and after she gives birth to her first baby and my first granddaughter. Helping others — again, an excellent happiness strategy. Building connections with loved ones — bingo, lots of happiness there. But that’s not all. Before I got to Alabama for the birth, I’d be stopping in the western highlands of North Carolina to stay with my friend of 40+ years, Jeannette Cabanis-Brewin. Jeannette had arranged to host my first ever “Happiness As A Way of Being” 3-hour workshop — so I had a clear purpose to aim toward. Guess what? Having a purpose is happiness inducing. I picnicked at a roadside rest, where I could pat myself on the back for savoring the wildflowers, the clouds, and the butterflies, and being grateful for my husband for packing my food and for the custodial staff who kept the rest area clean and beautiful. Uh-huh, I was doing just fine in the happiness department. And then … happiness became harder to access. I had stopped for gas in a tiny town, far in the southwest corner of Virginia. I misjudged my turn into the gas station driveway, and ran over the curb. The sounds from my car’s underbelly were ominous. Nonetheless, I paid for and pumped the gas. I was eager to get out of there. Not only was I worried about reaching my rural destination in the daylight, I felt like an unwanted alien in this part of the world. In our red state-blue state country, I felt like my Vermont license plate was a bull’s eye. So I gave the car a once over, saw nothing amiss, and started up the ramp toward the interstate. The next sounds were unmistakably bad; I had busted up the front right tire pretty impressively, even cracking the hub cap. I backed down the ramp — something my righteous self always judges others harshly for doing — and returned to the gas station. Happiness? What happiness? Fears and anxieties were coming on strong. I am not good with things. I generally operate on the assumption that they will always work. When they stop working, usually my husband (who can fix most anything) takes care of it. Now, I was alone. I was going to be late. This would probably cost a lot of money. I was stuck for at least a little while in an uncomfortable environment. Fortunately, my happiness studies have taught me that one reason to continually strengthen the brain’s ability to access happiness is to be able to bounce back when your life gets derailed. Obviously, in the scheme of things, a busted tire is minor, just a baby blip. Still, I was upset and aggravated. And, I had an excellent opportunity to walk my happiness talk. First up: dropping the internal wall I had built between myself and the folks who lived here, folks whose help I now needed. I struggled to put my own prejudices aside, and reach out, person-to-person. After a few phone calls, my angel arrived in the form of a young man named Jake. Jake drove a black Camaro and had such a thick mountain accent that I couldn’t always decipher his words. Nonetheless, he made clear from the get go that he was there to help me. He was unfailingly polite, kind, and non-judgmental — even when I couldn’t tell him where the jack was located in my car. I felt like an idiot, but a grateful idiot. Jake eventually got my car to the garage where he and his father work. He urged me to come in out of the hot sun. When their garage didn’t have the right sized tire, Jake took off for the local junkyard, and got into an argument with the owner who was trying to close for the day. Jake insisted that the junkyard stay open long enough for him to find the tire that I needed. I decided to tell the dad about my happiness workshop. He told me, “You want to be happy? Find God.” My defenses wanted to rise up, but I managed to beat them back and keep listening. “I was never a godly man before,” he said. “But a few weeks ago, a lady came in here and we test drove her car to see what was wrong. ‘There’s nothing wrong with my car,’ she said. ‘God is trying to get your attention. There’s going to be a tornado, and it will hit you at this spot in the road. '” A few weeks later, as killer tornadoes struck throughout the South and Midwest, the dad and his truck were indeed lifted up and thrown down by a tornado in the exact spot that woman had predicted. The truck was totaled. Three people in town were killed. He believes in God now. I was amazed at the story, and at his decision to share with me. He continued working while we waited for his son to return with the junkyard tire. After a bit, he asked for a favor. He pointed out his boss, the garage owner. “If you do nothing else today, tell him what a good job my son is doing for you.” Of course, I said I would. So I struck up a conversation with the boss. Turns out, he’s a granddad of three, happy to wish me well on my journey. After I told the boss how grateful I was for Jake and his dad, I came out and exchanged conspiratorial nods with the dad. Those nods gave me a surge of joy. We were connected. All the while, I kept beating back fear and anxiety. How much time was this taking? How much money would it cost? How far was I from Jeannette’s house? When would it get dark? Would I be too tired to drive? Would I have more car troubles? Concurrently, I practiced happiness strategies — gratitude, connection, and a reminder that I was actually perfectly okay in the moment. The strategies kept me calm, and aware of the good in my situation. In preparation for the happiness workshop, I had with me a bin of gifts I like to hand out: common stones on which I’ve hand-painted glittery hearts. To me, they symbolize giving from the heart — and I gave one to Jake when I paid the unexpectedly low bill. I explained that the stone was a token of my appreciation for how well he treated me. Jake seemed pleased. His daddy, too. The dad quickly said, “I have something for you!” and then handed me the shell casing in the photo. He was glowing with pride and joy as he gave me this precious offering. A shell casing? Me? I didn’t even know really what it was. Part of my brain — the judging part, the part that puts distance between me and others — was ready to spring into action and say, are you kidding? No thanks, buddy. Instead I said, and meant, from the bottom of my heart, thank you. And so my journey continued. The exuberance from the earlier part of the day was gone, but a deep sense of wonderment and awe and spiritual connection had taken its place. I was tired and still stressed, but in some ways happier. So what’s the lesson? For me, it’s knowing that happiness takes many unexpected forms, if only we can quiet our reptile brains and open our hearts wide enough to receive the bounty. That sweet and peculiar sequence of events was also a gritty affirmation of my intellectual belief that we’re all connected — a belief I don’t always nurture in real life — and that happiness grows in those connections. I don’t necessarily have to understand it. I can just feel it. Finally, as I wrote about in November 2011, happiness doesn’t lie merely in giving. We must also receive, with humility and gratitude. Postscript:The next day, I wrapped up the happiness workshop with a seven-minute Loving Kindness Meditation. After I explained how the meditation would work, I realized my chime was in a different part of the house. But a water glass, and the shell casing, were sitting nearby. Thanks to Jeannette’s suggestion, I began and ended the meditation by clicking the shell casing three times against the water glass. Capturing Ginny, this is the stuff that moves me! I was glued to my computer (yes, mesmerized) and read your story with excitement. So glad you are so connected with all the angles around you, and in such an evolution of thought, heart and mind. I am so grateful you are in my world, you are an inspiration and help me feel oh, not so odd. You made it to Alabama, with great adventure and accomplishment. Rest and give that beautiful lady Jen a hug for me. Thank you Jenny and Brenda for your loving and thoughtful comments! I certainly hope to make it back to Central Vermont in good shape! I guess we can add “mindful driving” to the list of happiness strategies! I loved reading the long version of what you shared with us in the workshop at Jeannette’s. I have thought of your story so often this week as well as the other things your gave us during that wonderful and all too brief afternoon on Jeannette’s wonderful screen porch. Thank you for all the grace and beauty you offer us and for the little stone with its sparkling heart that rests on my altar and reminds me again each morning that we are never alone, always cherished, always surrounded by beauty if only we can pause long enough to notice. Susan, I am so glad we connected. From you, I have much to learn about grace and beauty! Thank you!